So here we are again for our last Friday in August. The weather in midwest is starting to cool off and fall is right around the corner. But summer is not over yet. There is a plethora of festivals and events celebrating the end of summer. Even Starbucks rolled out two new fruit frappuccino blends to close out the season. What are you planning for last days of summer? Maybe you are attending a festival, music concert, or fitness event. Or maybe you are just trying to squeeze in one more swim at the local pool before they close Labor Day weekend. Whatever it is you do to celebrate be sure enjoy every moment before the cold sets in! Speaking of celebrating the end of summer, that’s exactly what I was doing around this time last year. First up in this memory trip was a very fun fitness event my husband Chris attended on August 23rd, 2014. 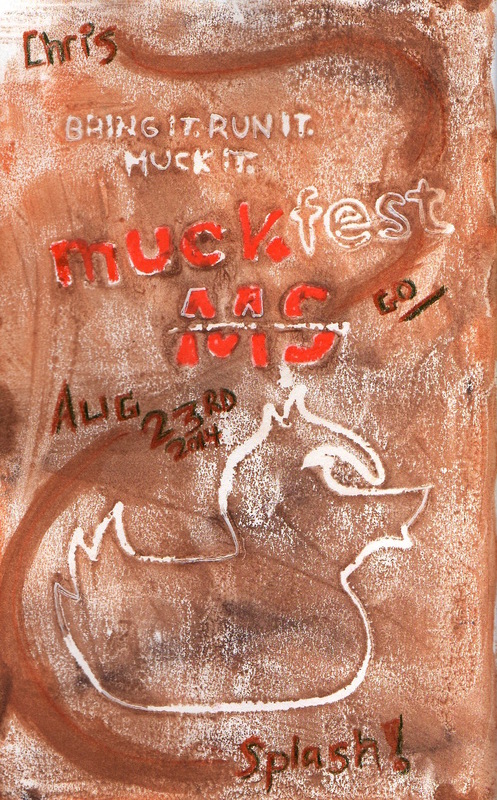 The MS Muck Fest! Oh boy did my husband get dirty! He ran, climbed and dodged his way through inventive obstacles. Afterwards, his team had to hide out in a tent as a torrential storm swept it’s way through the area. Muddy and wet, my sweet Chris made his way home to me with a smile on his face and full of stories of the time he spent at the event. Suffice to say he had a blast for a good cause. Ironically my second journal entry occurred that very same evening. To celebrate my husband’s victory of conquering the muddy obstacle course, we spent the evening with our then soon to be married friends Allison and Ian. We attended a Naper Nights music concert which is located right in the heart of Naperville at the Naperville Settlement. First up was a cool Rolling Stones tribute band named ‘Tumbling Dice’. I will say the the lead singer of this tribute band definitely had “Moves like Mick Jagger”- totally hot! 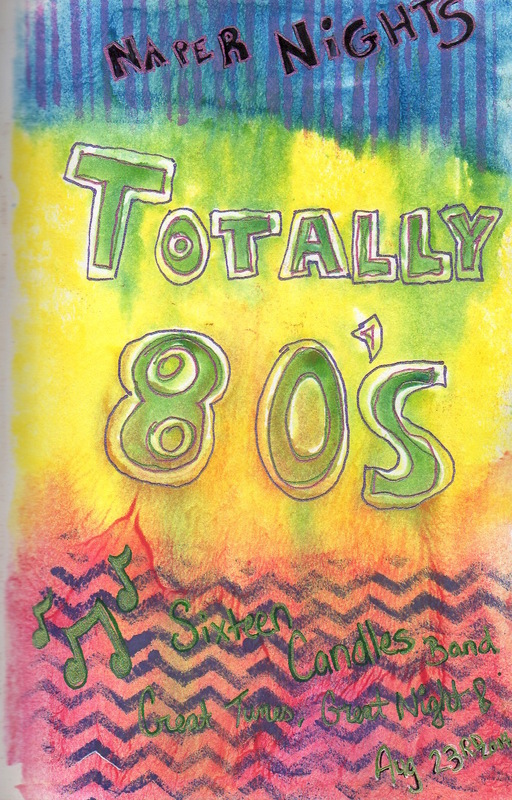 While Tumbling Dice definitely rocked the park, by far my favorite musically act of the night was an 80’s tribute band called ‘Sixteen Candles’. This band had it all! They played nothing but my favorite tunes from the 1980″s all while maintaining a frenzied synchronized dance pace. They were so lively and energetic; they had the entire settlement grooving to their beats! I had so much fun. I even got up to dance right in front of the stage. They were simply an amazing band who didn’t miss a step. I would so “totally” see them again. Well, this wraps up this week’s memories of August last year. I hope you enjoyed my little trip down memory lane. Great share! It’s great to look back and see where you have been, yet on the other hand, it’s equally exciting anticipating where you are headed. Taking every opportunity to enjoy the last days of summer or even Indian Summer can be so much fun. I hope that I get a chance to have some time with my awesome family! Then it is on with fall and Halloween .. oh yeah!